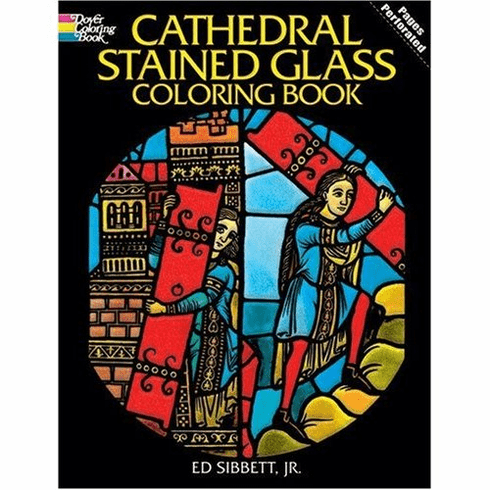 Re-create the exquisite art of the world's great cathedrals! Based on details from church windows in France, Germany, Austria, and England, these 16 full-page plates are specially printed on translucent paper. Color the images of "King David and the Prophet Daniel," "The Crucifixion," "The Last Judgment," and other biblical scenes, and place the finished portrait near a light to produce a rich and lovely stained glass effect. 16 pages. Author/Editor: Ed Sibbett, Jr. Dimensions: 8-1/4 x 11.